So far, 2012 has been the hottest year on record, with an average temperature for the first eight months of 58.66 degrees. This is about a degree warmer than the second-highest stretch in 2006. 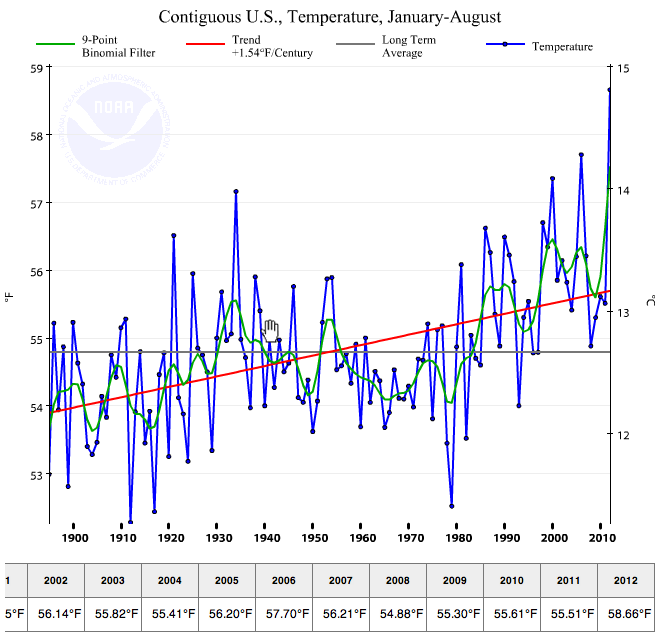 And once again, the past 12 months have been the hottest 12 months ever in the contiguous U.S. So was the prior 12-month stretch, and the one before that.